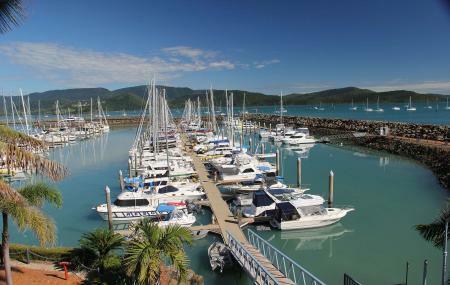 The launchpad for sailing trips to the Great Barrier Reef and Whitsunday Islands, the marina has over 500 wet berths and offers stunning views of the harbour. The unique design of the breakwater allows for some great photo opportunities. The newly developed Marina village is home to a host of restaurants, bars and cafes. Tours from the marina to explore the Whitsunday region are numerous ranging from day trips to longer sailing and diving tours. There are several places in the marina village offering equipment and services for sailing and diving. All major cruise operators have service desks in the area. How popular is Abell Point Marina? People normally club together Big 4 Adventure Whitsunday Resort and Bicentennial Walkway while planning their visit to Abell Point Marina.